It’s summer. That means these beautiful Hydrangeas are all in bloom. Right? Well, maybe not for everyone! 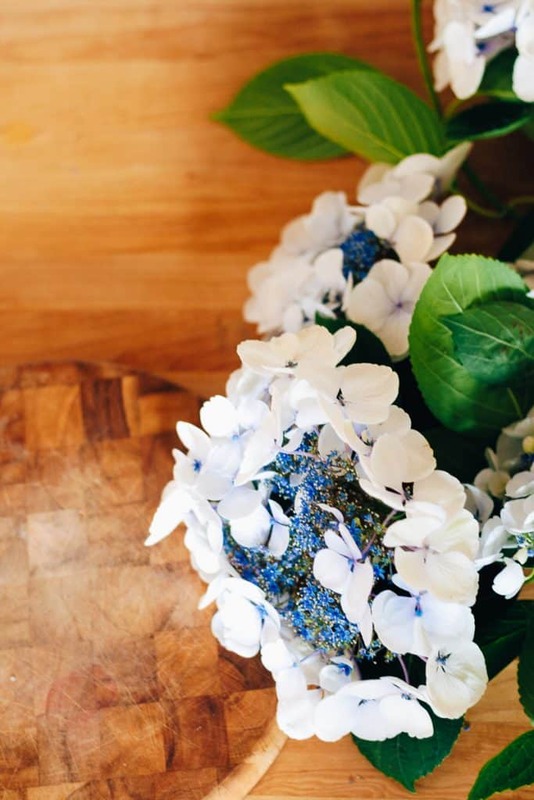 Get some tips and tricks for how to care for Hydrangeas, including 5 things you might not know about these gorgeous flowers. There are not many things more beautiful than a hydrangea in its blooming season. They are definitely one of my favorite flowers, and judging by the pictures in my Instagram feed, they are as popular as ever. There are so many beautiful varieties in so many colors! They give your home so much curb appeal with their rich pops of color. Even a single bloom in a bud vase can liven up your indoor spaces. I recently vacationed in the quaint town of Ocean City, NJ. Those homes had the most beautiful hydrangeas I’ve ever seen. You can check it out here at beach house curb appeal. However, some Hydrangeas can be kind of picky. Sometimes you think you are doing everything right and your hydrangea doesn’t produce a single bloom for you. Not one! It’s very disappointing and discouraging to say the least. 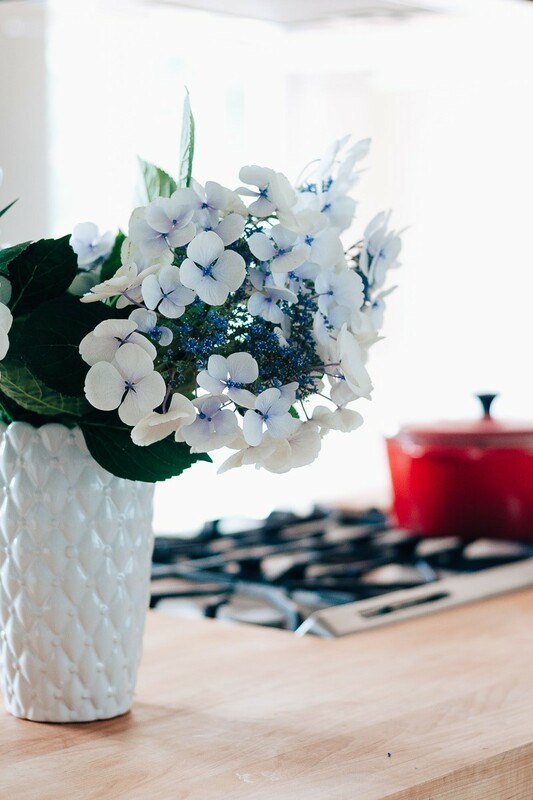 The rental house we are in has several varieties of hydrangeas all around – a definite perk while we wait out our renovation! I’m taking advantage of the instant arrangements I can whip together for the house. Today I’m covering tips and tricks on caring for these gorgeous Hydrangea shrubs – including 5 things you may not know about them. But should! Choosing the right variety of Hydrangea can be tricky. First – find your Hardiness Zone and pick a day to really study your yard. You should know what direction each side of your house is facing and look at the sun patterns in your yard throughout the day. Note where shady areas fall and which areas are hit by the blazing sun. Make a little sun map so you can refer to it in the future for other plantings. Once you are armed with your yard information, the easiest thing to do is go to your local plant nursery and ask them for advice. They will tell you the hydrangea varieties that bloom the best in your area. Another easy way to find out? Copy your neighbors! Ask them what variety of hydrangea they have or simply take a picture and upload to a Plant ID app. I have used Garden Answers Plant ID and it worked great. Plus, it was free. It can be a great way to learn about what’s growing in your garden and around your neighborhood. 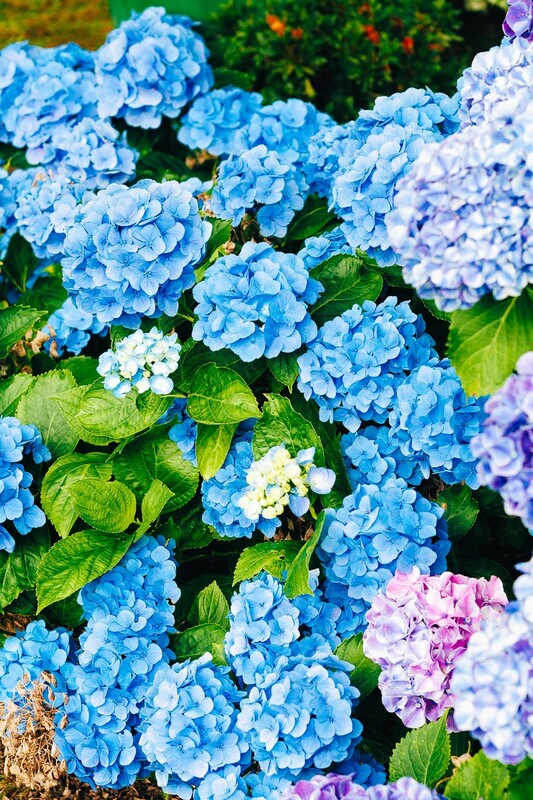 Now let’s go over the basics for Hydrangea care. The most important thing you can do when planting your hydrangea is choosing the right location for it. You may have to move it around until you find the perfect spot. For instance, I live in the Pacific Northwest. Even though we are up north where I assumed it could take full sun, my Endless Summer Hydrangea kept wilting. It just was not loving the location I had initially chose for it. So I moved it. Unfortunately, I had the same experience in the 2nd location! So I moved it again – this time to a large terra cotta container on my back patio where it gets only morning sun and the rest of the day it’s in the shade. And you know what? It’s blooming beautifully there. Make sure your location has good drainage. Hydrangeas don’t like to be sitting in sopping wet soil – but they like moist soil. More on that below. As your hydrangea gets older and the roots get more established, it can take more sun. But generally speaking, Hydrangeas like morning sun and afternoon shade or dappled afternoon shade. They will definitely wilt and/or turn crispy brown if they are given too much summer sun. And unfortunately, once they are crispy brown they stay like that until you cut them off! Trust me, I know from experience. By the way, they can also develop crispy brown leaves from fertilizer burn – more on that below. Just keep in mind that they do need some sun in order to bloom so it make just take some tweaking on your part until you find the perfect spot for it. Hydrangeas are thirsty flowers. It’s important to water them consistently. I always test my hydrangeas by feeling the soil around the base of the plant. It should be moist but not wet. So like I said earlier, definitely make sure where ever you plant them has good drainage. Hydrangeas don’t like to be watered, then bone dry, then watered, then bone dry etc. It’s a good idea to keep them consistently moist if you can. 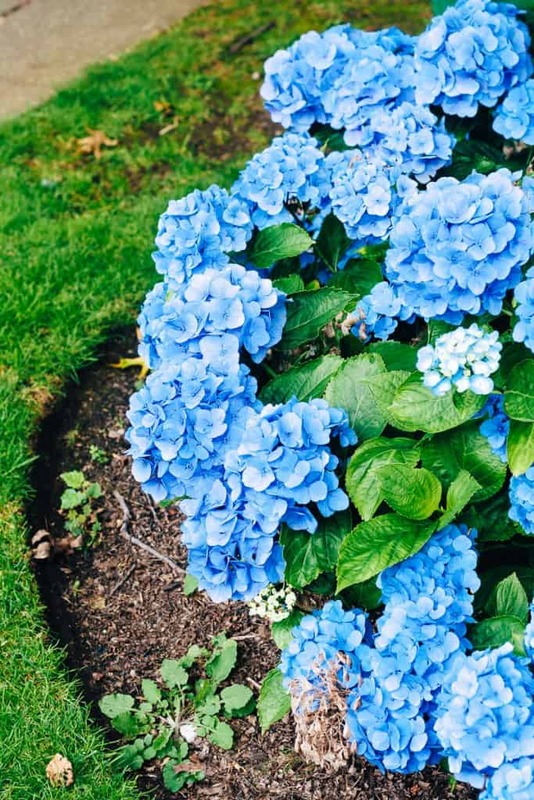 A newly planted Hydrangea should be watered at least every day or even more than one time a day if it’s super hot out until the roots are more established. 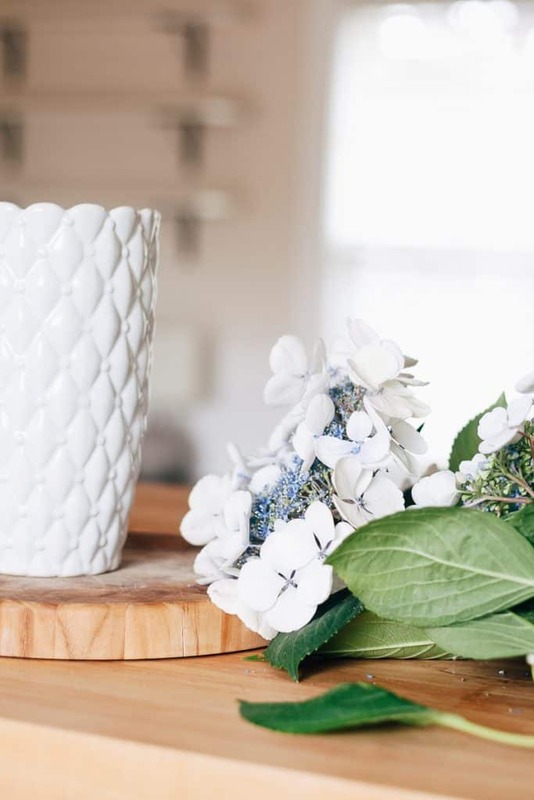 If you notice that your hydrangea is wilting by the end of the day – then it’s telling you it needs more water and/or the location is too sunny and hot. Water them more frequently or move them to a spot with more shade in the afternoon. Adding a layer of mulch around the base of the plant also helps to hold more moisture in the ground. I have always fertilized my hydrangeas and recommend you do so as well, especially for newly planted shrubs. But here’s the trick with fertilizing. Don’t go overboard! 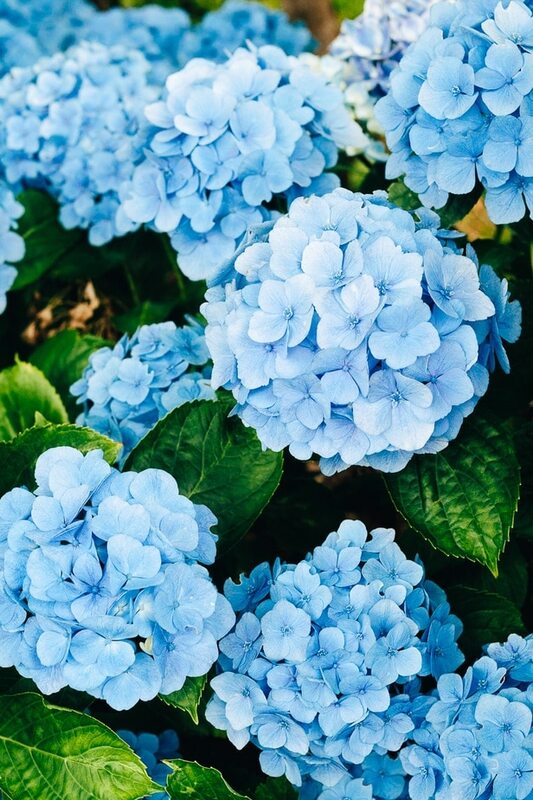 In fact, if your hydrangea seems to be thriving, you can skip fertilizing. I’ve done that before and my plants were fine. Fertilizing a plant too much can prevent it from blooming. My mom had this issue. She had the most robust looking, prettiest green colored…..leaves. When she stopped fertilizing them so much – what do you know, they started blooming for her again. Hydrangeas prefer a more relaxed approach to fertilizing. I fertilize mine in early spring with this fertilizer. I just follow the directions and mix it with water before using. You know you over fertilized when…. You have no blooms but healthy looking leaves. You have wilted, crispy brown leaves. This is called fertilizer burn. What if you have yellow leaves? Your plant might need iron. It’s easy enough to just add more iron ! 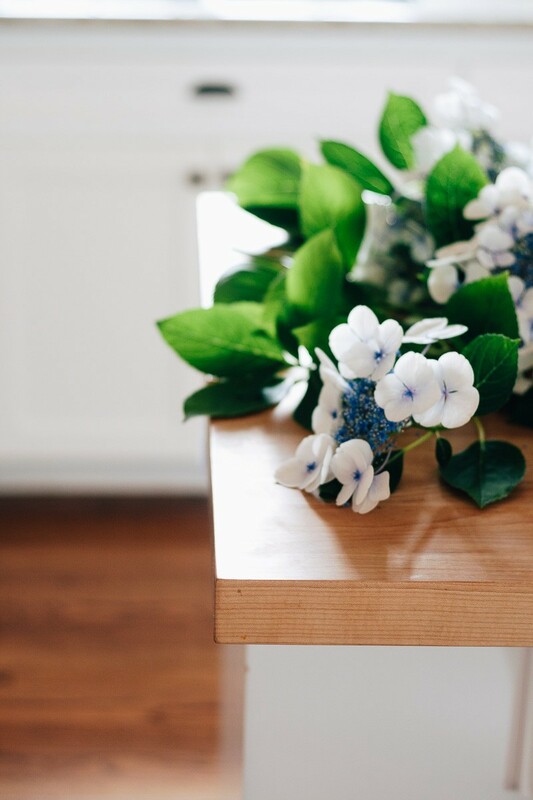 First you need to know : What type of Hydrangea do I have and does it bloom on old wood or new wood? It’s easy enough to google it and find the answer. Old Wood : Prune in LATE SUMMER after the flowers start to fade. Do not prune these to the ground! Just prune off right under the flower buds to keep them looking nice and neat and they will bloom for you next year. You can cut old, damaged stems off to help it keep its shape. New Wood: You can cut these all the way to ground in the FALL and they will produce bigger blooms for you next year. Are floppy blooms getting you down? Sometimes the weight of the blooms can make the hydrangea bush flop over. Not a great look. Here’s how to solve that. Instead of pruning them to the ground, just prune them to about 2 feet above the ground. Leaving some stem framework will help your blooms be sturdier the next time around. And yes – they will look dead all winter long. I had to get used to that stick appearance. Just know what’s coming in summer! If you seem to be struggling with getting your hydrangeas to bloom and/or you just don’t want to be bothered – definitely check out the newer varieties. They keep tweaking these beautiful hydrangeas to be more robust and more showy. The newer variesties of Hydrangea are considered “rebloomers”. With these rebloomers, you don’t need to worry about pruning at the right time and cutting off potential buds. Tuff Stuff and Endless Summer are two rebloomers that you should check out! Just by tweaking the pH of the soil – you can change the color of the blooms. White hydrangeas will always be white though. Lower the pH to get Blue Blooms by adding aluminum and raise the pH by adding lime for pink blooms. Generally, the lower the pH, the deeper the blue. Did you know you grow more hydrangeas from one stem? 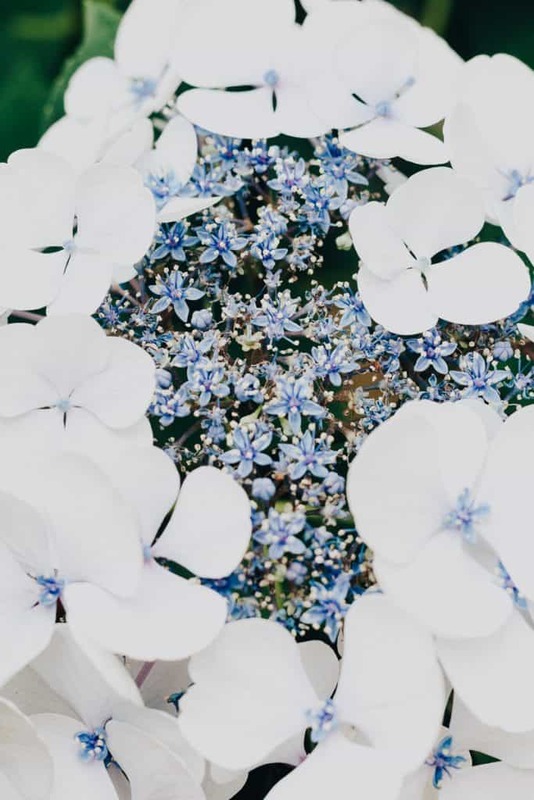 Once you have yourself a successful Hydrangea bush and you want more, you can simply cut off a 5 inch piece of a softwood stem with a leaf attached (no bloom), dip the end of it in rooting hormone, and plant it in a little pot or tray in a shady spot. Cover it with a plastic bag and mist it often to keep it moist. After about a month, you should have roots. Transplant it to a bigger container and give it fertilizer. 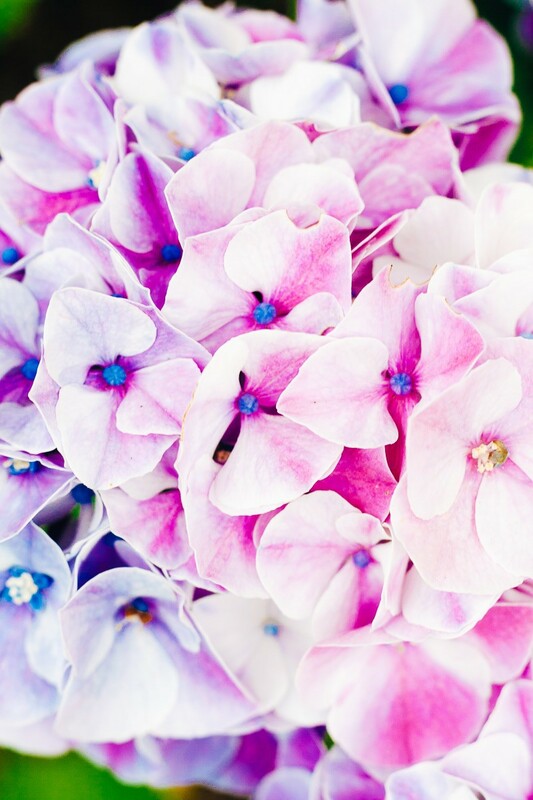 Keep up with basic care and you are well on your way to a beautiful, FREE, new hydrangea. Cut Hydrangeas early in the morning. 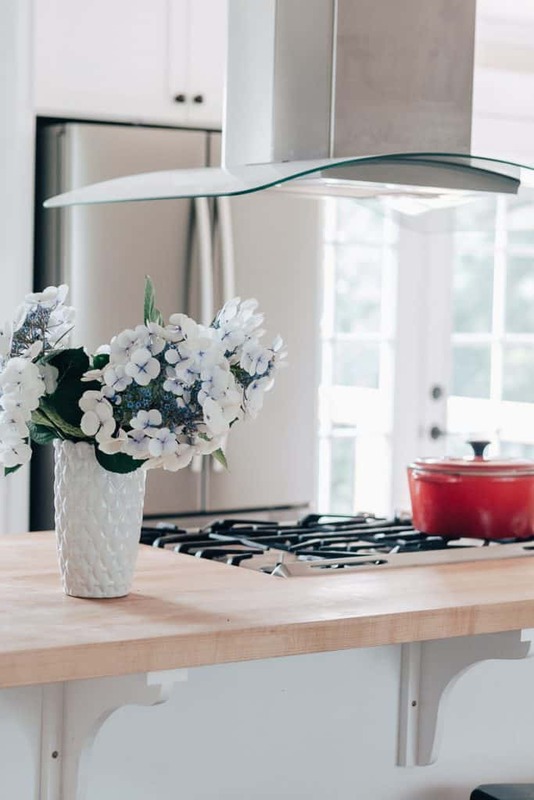 Dip stems in boiling water for 30 seconds (this unclogs their sappy stems) and then plunge them carefully in a cold water bath up to the flower head for about an hour. After the hour, the flowers will be perked up and ready for your arrangement! When you cut your hydrangeas for arranging, cut the stems on an angle. I do this with most flowers actually. I use these pruning shears. I clean the blades with rubbing alcohol prior to using on other plants. After cutting the stems on an angle, dip the stem in Alum (hint : it’s in the spice aisle). Your flowers will last even longer! The Hydrangea tree might be the best invention ever. You can train them that way or buy them already trained. The Hydrangea Paniculata species is the only one you can train into a tree. Just so ya know. You over-fertilized. See the “fertilize” section above under Basic Care. Your plants doesn’t get enough sun. See the “location” section. You over pruned. You may have cut off buds! See “pruning”. You had a cold snap. Aw, snap. Nothing you can do about that. We can’t control Mother Nature. Hydrangeas are sensitive to weather changes – if it got really cold before the plant went dormant, some of the bud stems could have been damaged – leading to less or no blooms next season. Cut stems early in the morning on a diagonal. Dip Stems in Alum before placing in water. Use flower food if you have it. I like this brand of flower food. Change water in the vase frequently. Use the boiling water method above to revive wilted blooms! 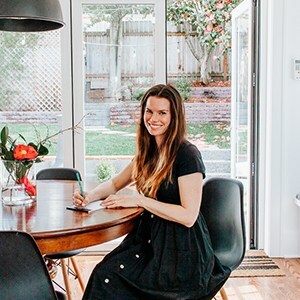 Phew – that was one long post! I hope this helps you grow better hydrangeas! Wonderful article. Easy to read and follow. I do always take not consideration I live in northern Alberta Canada. Yep way north. Thank you Sharon! I’m so glad you enjoyed this article. I hear you about being up north. I definitely had to play around with the location in my yard until my hydrangeas were happy!